Where do you go for answers when you are feeling stuck in your life? The obvious solution is to trust your intuition. But this can be difficult when anxiety and doubt, or strong emotions, are getting in the way, or, if you are just learning to open this channel. Even those working in the field as mediums or psychics will go to other intuitive readers for help with their own lives. A Tarot-Astro report gives you insights and solutions that truly get to the heart of the matter because this guidance comes from Spirit and from your divine team of guides. This loving, divine support team works through the Tarot - and with me - to illuminate the next steps of your life journey. 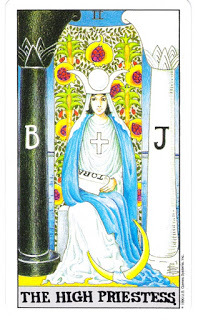 There is a magic to the rich symbolism of the tarot cards - a divine synchronicity that allows exactly the right cards to come forth in answer to the questions. And this is combined with karmic information from your astrology chart. A Tarot-Astro report gives you answers - it helps you to understand your challenges and what is creating the feeling of being stuck. But more importantly it gives clear guidance as to what you need to do - or not do - in order to move forward towards a more fulfilling life and your highest good. What is a Tarot-Astro Report? The beauty of a Taro-Astro report is that you get the depth of guidance from a Tarot reading supported by essential information from your astrological chart. This gives you two sources of guidance in one reading - and because the astrology plays a supporting role for the tarot you don't need to have an accurate time - simply your birth date and place. The Tarot guidance is focused on your current questions and life challenges - I then use your astrological chart to understand this guidance through the bigger picture of your soul's overall mission for this lifetime. Often, what seems like an annoying distraction - if only this were working my life would be just fine - turns out to be the very heart of your soul's journey. So the struggle is not something to be avoided, but contains the meaning and purpose of this life. The Tarot guidance then shows you what is blocking the flow of your life and illuminates the direction that will get you moving in harmony with your heart and soul. The power of interweaving these two systems of guidance and soul information is so potent that, for the time being, I am only offering this combined form of Tarot reading. "Thank you so much for the report Jay. It really resonated with me, and it validated my own thoughts and feelings. It gave me reassurance that I am on the right track with what I feel I should be doing and what I am currently trying to practice (self love, kindness and compassion with myself first and foremost." Where do you feel stuck or at a crossroads? What repeated patterns have you experienced in this area of your life? Do you desire more clarity around your soul purpose and the gifts you have to share? Include your birth date and place - and if you have an accurate or approximate time add that also. I then design a tarot reading specific to your concerns and consult your astrological chart. I take three to four hours to write your report using these two sources of guidance and channelling information from your team. Your Tarot-Astro report is approximately 2,500 words and is sent to you as a PDF and includes the images of the cards for your reading. "My reading was not quite what I expected since I never had a reading like this done before, but actually so much that I've read was sooooo me. It is very powerful and has so much for me to keep in mind, meditate upon and see where I need to make adjustments in my life. It is truly amazing how much of this reading is so much me, outside as well as deep inside. Much of what the cards told seemed to have come to my realization in these last few years. Much gratitude"
"Thank you for getting my reading to me so soon. I found it so helpful to have confirmation of my soul gifts, which I am only just realising and accepting. I also had a strong sense my Souls purpose would be to do with children and until time unfolds for me the direction I need to take, I just have to have patience. Thanks again, this reading was very inspiring for me. Much Love"